Claire is Director of Clarity Safety Solutions Ltd., an Oban-based health and safety consultancy. She has more than 17 years of health and safety experience advising organisations and is a Chartered Member of the Institution of Occupational Safety and Health, an OSHCR registered consultant, and an IFE registered life safety assessor. Since attempting to leave the rat race in 2008, and moving to the West Coast of Scotland, Claire has written hundreds of articles, reports, policies, papers, newsletters, and training courses. 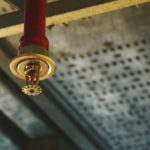 Nevertheless, she continues to help clients directly with their health, safety, and fire safety arrangements both within the UK and abroad. Whenever there’s a new British Standard published for any kind of product, there seems to be a rush of sales literature on the back of it claiming that you have to replace this or that in order to comply. 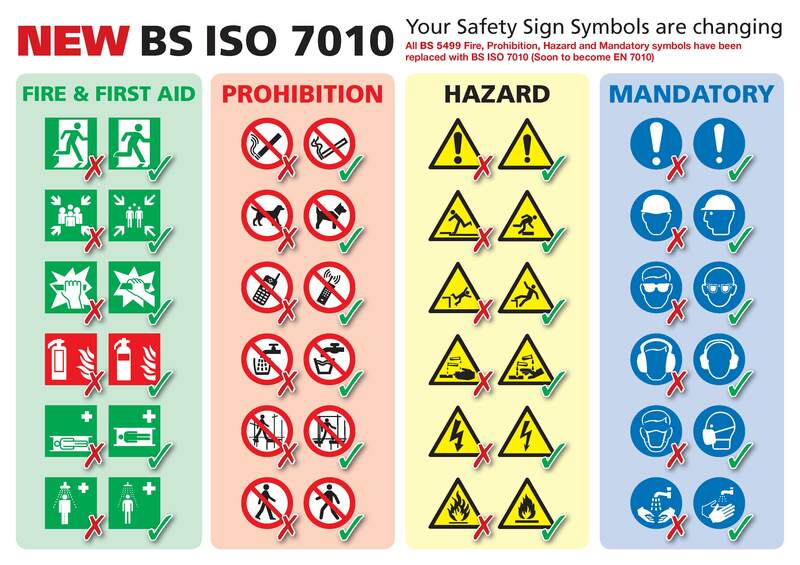 BS EN ISO 7010, relating to graphical symbols, safety colours and signs, and registered safety signs, is no exception. It aims to bring about consistency in safety signage internationally, though it recognises that only the national standards organizations of Austria, Belgium, Bulgaria, Croatia, Cyprus, the Czech Republic, Denmark, Estonia, Finland, the Former Yugoslav Republic of Macedonia, France, Germany, Greece, Hungary, Iceland, Ireland, Italy, Latvia, Lithuania, Luxembourg, Malta, the Netherlands, Norway, Poland, Portugal, Romania, Slovakia, Slovenia, Spain, Sweden, Switzerland, Turkey, and the United Kingdom are obliged to adopt it. The date for adoption was January 2013, when it became a European Normative. Therefore, at that time, it replaced BS5499-5, the previous British Standard. No. British Standards are not law. They are Codes of Practice, generally affecting only new products, as opposed to those previously produced. However, it is possible for standards to be given a type of legal status when they are referred to within legislation or government-issued guidance and Approved Codes of Practice. In this case, the relevant legislation is the Health and Safety (Safety Signs and Signals) Regulations of 1996, also known as the Safety Signs Regulations. These regulations implemented EC Directive 92/58/EEC. They have not been updated, and there’s no apparent plan to change them just yet to incorporate BS EN ISO 7010. Therefore, even though some sales literature implies that all your safety signs (including fire escape signs) must be replaced, that simply isn’t the case. Before 1996, the standard for fire escape and other safety signs was set out in BS5499. Signs looked like this, for example. Those who are longer in the tooth will recall the fuss when we had to add the running man to our signs. Then the Safety Signs Regulations brought a new style of fire escape sign — the one with the ice-cream box. 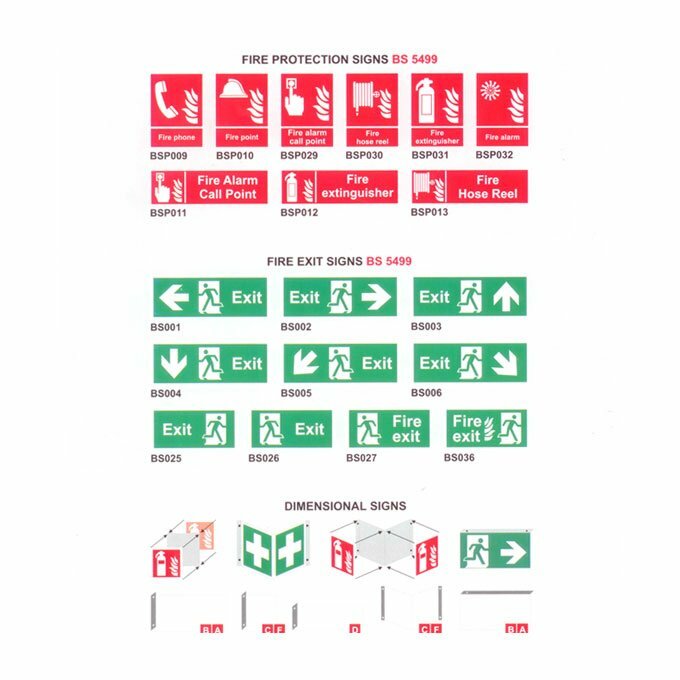 The guidance on these regulations published in 2009 (still the most current version) stated that businesses could continue to use the BS5499-5 fire escape signage if they preferred. Luckily for many of us, BS5499-5, our old and trusted standard for fire escape signs, was used as the basis for BS EN ISO 7010. If you didn’t put up the European standard signs when they became available after 1996, your building is now back in fashion. What should building managers do? There’s no requirement to replace signs, and it’s highly unlikely that any such requirement will ever be introduced. It’s best not to mix sign types; the guidance recommends consistency in style and design throughout a building (e.g., BS9999:2008). However, this is only a recommendation, so it isn’t illegal to mix sign types. Nevertheless, consistency will be much more important in public buildings. On that basis, if you’re adding a few signs to a building that consistently follows EC Directive 92/58/EEC, it’s worth seeking out matching signs, at least for the time being, even though they’re not designed to the latest standard. If you’re starting from scratch with a new building, go with the new standard. And if your situation is somewhere between those two, do what seems most logical. Claire, All very confusing with so many different standards and styles of sign but the overarching message seems to be as long as your signs are consistent throughout the building, clearly understandable and well-positioned then you’re doing the right thing. While it’s not a legal responsibility to have the signs, it would almost certainly be flagged in any risk assessment worth it’s salt if you didn’t have the signs. Thanks for this.